Reporting to the Roads Supervisor, this position will provide a variety of construction, maintenance and repair services for Township roads. The Summer seasonal position is based on a 40 hour per week from May, 2019 to October,2019, Monday to Thursday. Candidates must be able to operate a variety of light equipment, including; front-end loader, dozer, tractor-backhoe, tandem dump trucks, and other specialized equipment including carrying out labour intensive tasks. The preferred candidate will have: Must possess of a valid driver’s license in good standing. Class D or higher with Z air brake endorsement. 1-3 years’ experience operating construction equipment; front-end loader, dozer, tractor-backhoe, tandem dump trucks. Knowledge of the Occupational Health & Safety Act. Working knowledge of computers. The position offers a wage of $21.14 per hour (2019). No benefits will be offered. The incumbent will be required to supply their own safety boots. To apply for this position, submit a complete resume, along with a current driver’s abstract to: Dan Perreault, C.E.T., Manager of Public Works, Township of Essa, 5786 County Road 21, Utopia, ON L0M 1T0 dperreault@essatownship.on.ca by 12:00 p.m., Friday May 3rd, 2019. We thank all those applicants who apply and advise that acknowledgement will only be forwarded to those applicants who are invited for an interview. Interviewees may be required to demonstrate equipment operation skills during the competition process. Personal information collected will be used in accordance with the Municipal Freedom of Information and Protection of Privacy Act for the purpose of candidate selection. 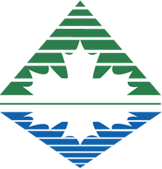 In accordance with the Accessibility for Ontarians with Disabilities Act, if you require this document or any additional documents in an alternative format, please contact our office at 705-424-9770. Please know that should you require any special accommodations in order to apply for a position or interview for a position with the Township of Essa, we will endeavor to make such accommodations, upon request. Must have valid G licence to drive the company flatbed truck or pick up truck Must feel comfortable driving a truck with flat bed trailer Physically fit to handle loading and unloading at Yard and customers sites Material includes Deck parts, planks, metal components. Use GPS and good communication Willing to work overtime . Current clean driver’s abstract – 5 plus years verifiable driving history Be able to reach worksite in Beeton and use company vehicle Use of forklift would be great. We are looking for FULL-TIME SEASONAL experienced turf maintenance technicians to join our turf maintenance team. -operate farm (mid sized) tractors and small loaders with implements/attachments such as aerators and fertilizer spreaders -load, secure, and tow a trailer carrying landscape maintenance equipment to job sites -safely use hand and power tools - perform other landscaping tasks as required This position is from now to the end of November. Duties to be performed : Warehousing and client services in support of departmental programs: Warehousing and client services in support of departmental programs; Receives, selects, distributes, conditions and issues material Warehouses material within stores locations for issue Prepares documentation for issue or re-distribution to client users, and prepares goods and documentation for laundry / dry-cleaning services Moves and lifts heavy cartons, furniture and equipment for several minutes at a time throughout the day to load and unload trucks, stock shelves and pick material. Park Patrol Attendant x 5 Temporary Part-Time (May-September 2019) Up to 35 hours per week 2019-54 This position patrols the Tottenham Conservation Area’s overnight events, municipal parks and camping activities. Under the direction of the Senior Operator, Park Patrol Attendants are members of a park operations team responsible for the monitoring of the park activities and ensuring safety and security of the public at the Tottenham Conservation Area and liaising with the Parks Operators. These positions will need to be available to work overnight and weekend hours. Responsibilities: Park Patrol is accountable for identifying any non-compliance situations and administering the appropriate enforcement options Responds to public complaints, exercises discretion particularly with regards to park activities, operations and events. Escalates safety and security issues to local Police services if issues cannot be resolved directly. Operates equipment safely and works to maintain Town facilities and outdoor spaces. Reports in writing any damages of a serious nature to the immediate Supervisor. Ensures daily activity logs are completed and submitted in a timely manner. Ensures time sheet is filled in accurately and submitted to immediate supervisor in a timely manner. 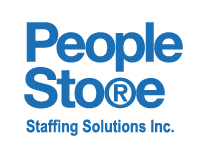 Turn Key Staffing is on the lookout for Parking Coordinators in Alliston. Turn Key Staffing Solutions Inc. is locally owned and operated. Our offices are located in Barrie, and Newmarket providing quality temporary staffing services in all surrounding areas. Our permanent staff are dedicated professionals providing personal, customized quality service to meet the changing needs of our clients. We are hiring Parking Coordinators to join our team! You will operate standard and automatic vehicles, as well as identify areas of improvement to increase efficiency. The job would have: · 40hr + work weeks · This a wonderful ongoing position, with so much potential to grow · Straight days or straight afternoons · Competitive wages · Potential to get hired on with the client after 3 months! 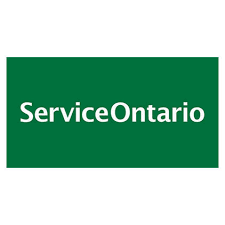 SERVICEONTARIO IN ALLISTON IS SEEKING A MATURE, RESPONSIBLE & RELIABLE INDIVIDUAL WHO IS A FAST LEARNER, CAN ADAPT TO A FAST PACED ENVIRONMENT, CAN PROBLEM SOLVE QUICKLY AND IS ABLE TO BE A TEAM PLAYER. PLEASE EMAIL RESUMES IN. NO COVER LETTER REQUIRED. CRIMINAL BACKGROUND CHECK REQUIRED. SATURDAY AVAILABILITY IS A MUST. WE ARE OPEN 9-1 P.M. Position : DZ Driver/Equipment operator Start Date : ASAP Job Summary: This DZ Driver would be responsible for the safe and efficient delivery and pick up of equipment using the appropriate DZ class vehicle. You would be working for a custom home builder in the Tottenham area. The DZ Driver will operate all Company vehicles in accordance with all Municipal, Provincial and Federal laws and provide a high level of customer service. When not driving, you would be expected to assist on job sites as required. Requirements: -Valid Ontario DZ license with clean Abstract -Ensure all loads are properly secured -Complete all reports related to vehicle usage such as daily logs and truck inspections -Secondary School diploma or equivalent -Operating machinery (backhoe, dozer, skid steer, forklift) -Carpentry/Framing experience a bonus -Flexibility to multi task and work effectively -Report any workplace hazards and help to eliminate them Please include a copy of your recent driver’s abstract (within 3 months) with your application. Looking for drivers to represent our company with an outgoing and positive attitude. This position offers seasonal work; competitive weekly pay; modern, reliable equipment and a generous incentive program. You will be home every night. Weekend hours available. 100 mile delivery radius around Alliston (160 km). Forklift work required, training provided. Come join our family-run team! !